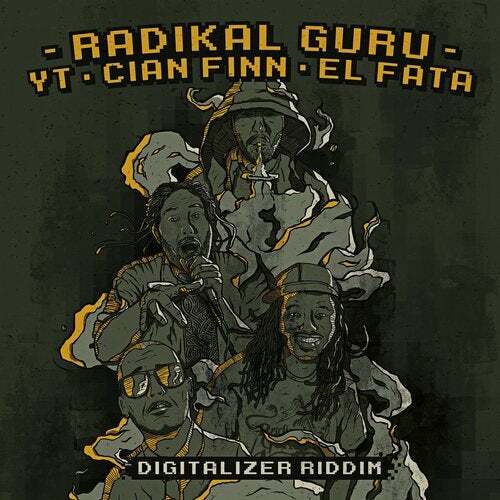 After well received second LP -'Subconscious', Radikal is back to present the' Digitalizer Riddim' EP. Release is based on one of the biggest anthems from the album - ''Stay Calm'' featuring UK veteran deejay YT known for his outstanding collaborations with the ones of Mungos-Hi-Fi, Zion Train, Congo Natty or Kanka just to name a few. Following the reggae music tradition of releasing different 'versions' of one song, Radikal Guru invited two other well respected vocalists, to put their own versions on the main riddim track. Well known from his previous collaborations with Radikal Guru, singer Cian Finn delivered another excellent performance. In a track called 'Sound System' they're proving to create a very solid duo together. Third version on the EP is 'Get Up' by El Fata, who's adding flavor to the release by showing his unique vocal style. Everything is completed by Radikal Guru's heavyweight dub version, making the record a must have for every sound system music lover. Soon available on 12" vinyl & digital in all good record shops!